Hello-Hello, today we continue with our look at flash sales, focusing on prep brands sold via this method. Many of the companies offer sale events several times a year, almost on a quarterly basis, others may be sold even more frequently and some less often. Prices are generally very good, at least 25% off MSRP, with the majority of items marked down by 40% and more. Special sale and promotional events (Sunday Night Styleathons at RueLaLa, Last Day Discount at another site) provide even deeper price cuts. Here are just a few names you know that can be found at the discount-driven sites: Lilly Pulitzer, Brooks Brothers, Vineyard Vines, Vera Bradley, Jack Rogers. For example, Lilly Pulitzer will be back again this Thursday at Rue La La. Most recently Lilly was sold at RueLaLa in mid-May, that event featured the label’s stationery and gift items. Even when there are multiple opportunities to purchase discount goods via flash sales, that does not translate into easy acquisition of merchandise you may covet. Why not? In part because there is a limited amount of inventory available, but also because there is an abundance of savvy shoppers very quick with the trigger finger, aka the ‘enter’ key. 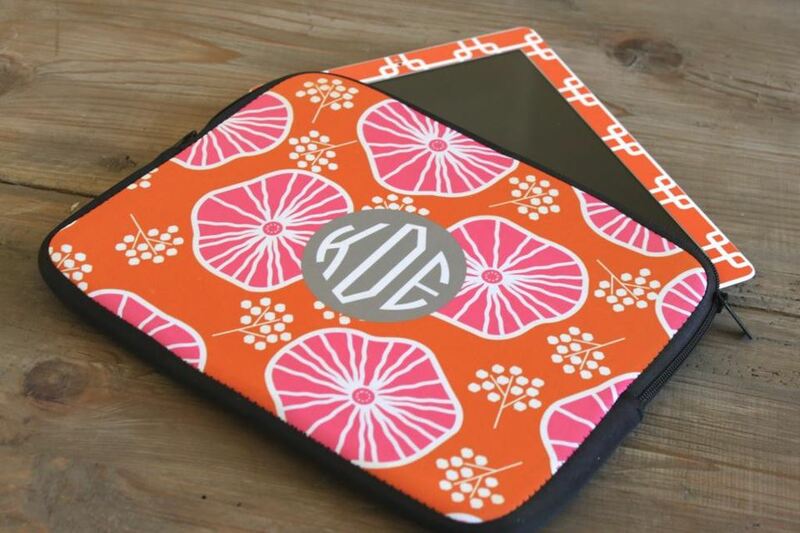 Lilly and other popular brands sell out very quickly. RueLaLa sales events generally start at 11am, it is not unusual to find a third or more of the inventory gone within seconds, there are that many people who are that fast. As many know, RueLaLa is a dominant player in the flash sale market, that is where we have found Brooks Brothers on sale. Along with the retailer’s edgier, pricier Black Fleece line. Vineyard Vines also calls RueLaLa home for its flash sales. 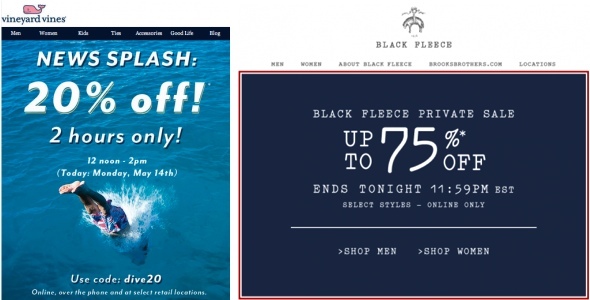 But as we mentioned Monday, many brands are now doing their own limited time sales, Vineyard Vines & Brooks Brothers among those having done this in the past. 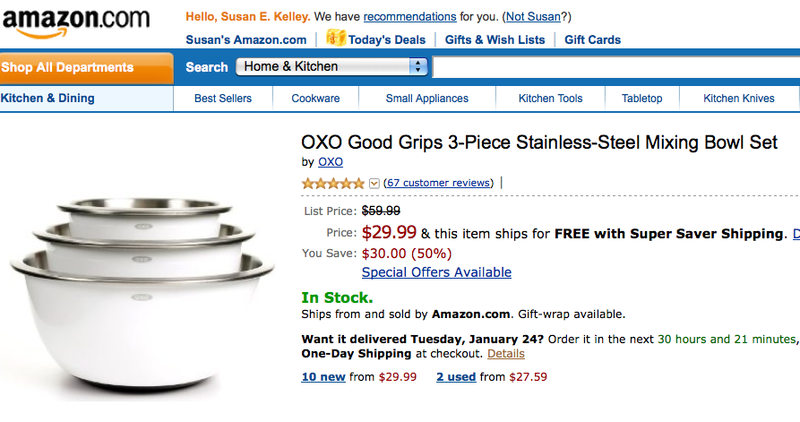 Below, two promotional images from previous flash sales the brands have conducted on their own websites. We expect to see more of this in the future from a growing number of companies, as well as more brands ‘taking over’ a flash site, where they are the only thing offered. 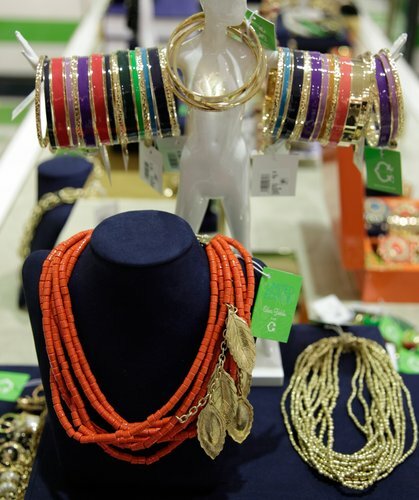 Below, an image from one such event at Gilt, Kate Spade was the brand showcased. Another brand many like, Vera Bradley, has been offered on a number of the sites. Back in 2009 (and possibly 2010) the line was found at RueLaLa, but most recently it has been on sale at Ideeli, the promotional image below is from this February. Handcrafted needlepoint accessories from Tucker Blair have been offered via Gilt, another industry leader. Smathers and Branson, the primary competitor to Tucker Blair, can be found at another site, more on that in a moment. Another accessory brand sold at discounted prices, Jack Rogers. 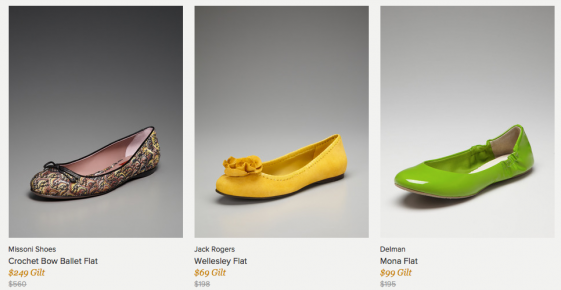 The photo above shows them at RueLaLa, Jacks have also sold at Gilt, the image shown below is from January, 2012. You can also find brands many preps like offering house and home merchandise at the sites, like Macbeth Collection with its bright array of colorful containers and partyware. 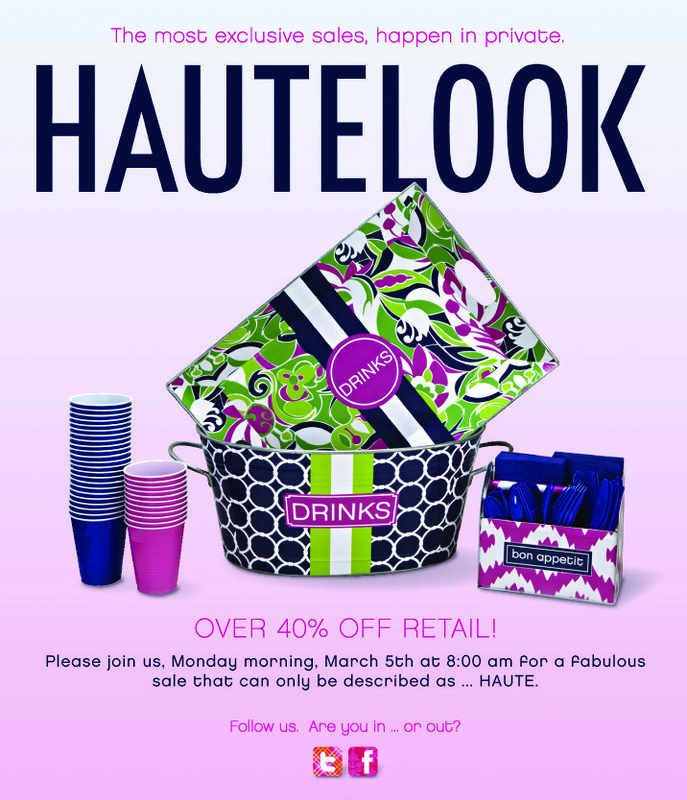 This piece is from an email campaign promoting a sale event at Haute Look, the site owned by Nordstrom. Macbeth has also been sold at One King’s Lane, and is currently on sale at Beyond the Rack, through tomorrow (June 7). Jonathan Adler’s classic designs are occasionally offered, this image is from an April event at One King’s Lane. Preppy Plates merchandise is also discounted with regularity. A sale at RueLaLa just wrapped up, but the line has also been sold via One Kings Lane, Joss and Main and perhaps other venues. In Monday’s post we mentioned Five Mile, carrying merchandise for men, especially those with an active, outdoor lifestyle. The site has done sales featuring Smathers and Branson, Southern Proper, Columbia, Barbour, Filson, Southern Marsh, Castaway Clothing, Knot Belt Company and several others. Another niche discounter that may hold appeal for readers, Uscoop, targeted primarily at a college demographic. Uscoop has done an outstanding job of engaging customers and potential customers through social media, it is a fun spot to visit. This is also the company that just launched Tuckernuck, many readers are already familiar with the new endeavor dealing in preppy style and related brands. We will be writing about it in the future. 1) Some brands offer different categories of merchandise via different outlets. Clothing can be found at one site, sunglasses at another, bedding and home goods at a third, perhaps accessories at a fourth. 2) Those tracking sales at multiple sites often set up a specific email account just to handle the email, I did that when deciding I wanted to research the topic for a series of posts; it allowed me to maintain sanity (kinda’ sorta’). 3) Other options for tracking online sales: Racked.com’s Morning Flash Sale Roundup is a good list, although shorter than some may like; for those who enjoy reading Sample Sales Site has an extensive list found here. 4) Following sites on Facebook and/or Twitter has its advantages, many offer additional information and photos on upcoming sales. That’s it for now, we’ll be back in a few days with a look at the deals being offered… are they really bargains? NOTE: If in need of an ‘invite’ (ahem) to any of the sites, those I trust are listed here (scroll to the bottom of the post), as well as Part One of our look at the flash sales phenomenon. Hello-Hello, and happy Wednesday Thursday to everyone. Once again we apologize for the less-than-sporadic posts, the crush of business has translated into no time for blogging. With regrets, it’s possible we may only be able to do one or two more posts before Christmas, eeek! It’s a brand that’s been bounced around from retailer to retailer, has lost some cachet and embraces styles and a color palette that’s tasteful, safe and not particularly compelling. The Stewart deal is far from the groundbreaking pact… to bring Sephora shops into Penney’s stores, which moved the retailer into the beauty category in a major way, brought in a slew of high-end brands — and lured younger, hipper consumers. Back to the Macy’s part of the story, obviously the department store has made an enormous investment in Ms. Stewart. Many believe that Macy’s was blindsided by the Penney’s deal, and that it’s possible Stewart didn’t disclose her intentions with Penney’s, though Macy’s would have expected her to, and to try to work on improving her Macy’s business before taking it to the competition. We forgot Martha at PetSmart. Hmmm, obviously we’ll be hearing more about this one. Our other topic today, all those seasonal Sales & Savings Opportunities, many offering some preptastic style statements. Sadly, Talbots continues to do whatever it can to move merchandise, everything is 40% off, including full price and sale merchandise. We leave you with this, Bergdorf’s fabulous holiday video about the store going to the dogs. Ho-Ho-Ho. May your holidaze Christmas and Hanukkah preps be going well. Les Bal de Debutantes & Hollywood Preppy? Hello-Hello, welcome to another wacky Wednesday here at the Prepatorium. How wacky? 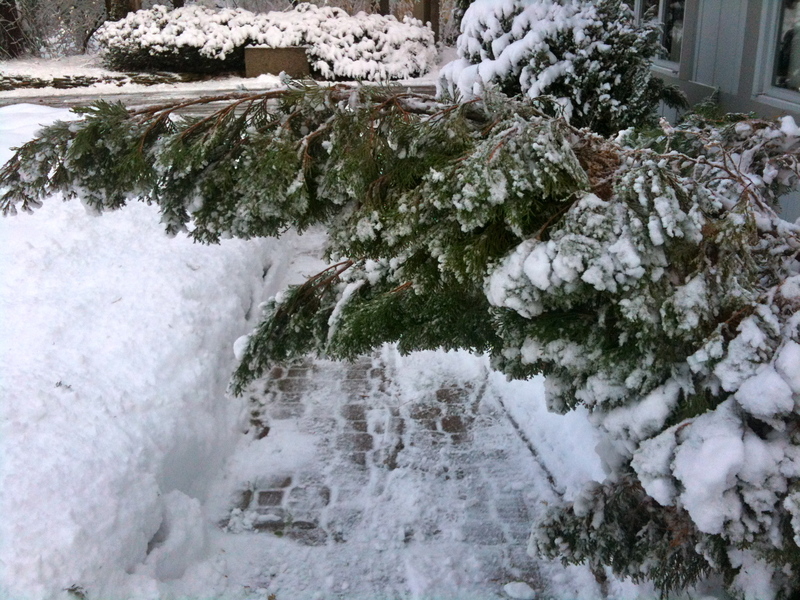 This should give you an idea. 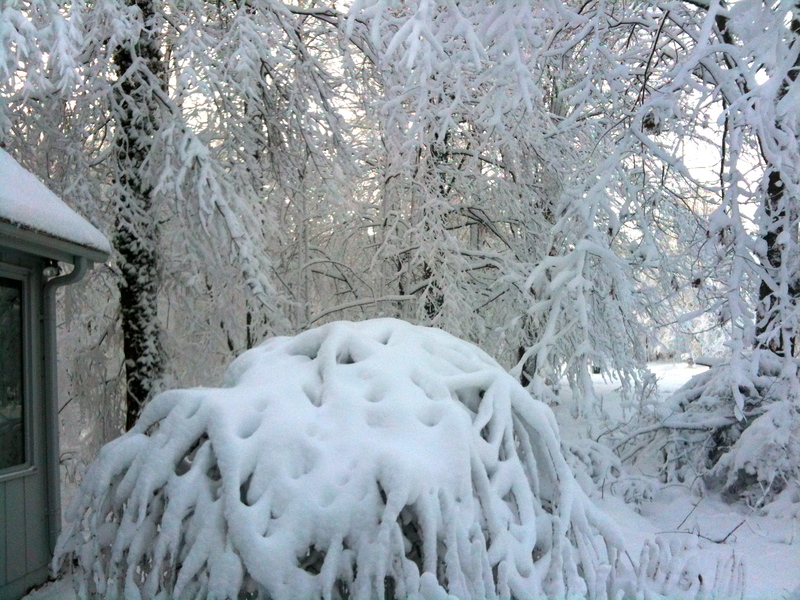 The tree in this photo is normally vertical. Next on the hit parade, a brief look at last weekend’s Bal des Debutantes at the Crillon. Among those officially being launched into society, Sarah Margaret Qualley, seen below with her mother, actress and model Andi MacDowell. The annual gala was Saturday, held at the Crillon, as the event name suggests. Tallulah Belle Willis, the daughter of Bruce Willis and Demi Moore, is another young lady who made her debut. 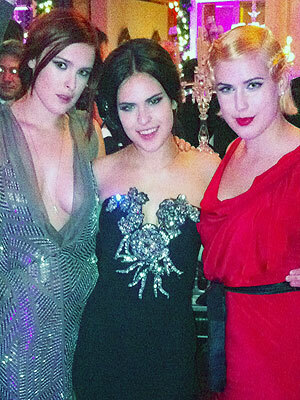 Below we share a twitter photo of the three Willis sisters, from left to right: Rumer, Tallulah and Scout Willis posted by Rumer Willis. Here is a more formal reminder of the event, this is Sarah Margaret Qualley’s official portrait, she wore a gown by Elie Saab Haute Couture. A total of 23 young ladies were part of Saturday’s presentation. Also today, a look at what some might call “Hollywood Preppy”. The new book looks like it would be a wonderful read, certainly ideal on the coffee table, great for kicking off cocktail party conversation. We know someone who might think the photo of Paul Newman is well worth the purchase price for the entire book. More on the new tome from its publishers, Reel Art Press. From the button-down hip of Steve McQueen, Paul Newman and Anthony Perkins to the preppy sensibilities of Woody Allen and Dustin Hoffman; the understated but carefully selected components of the Ivy look didn’t shout ‘look at me’ but instead gave off an image of approachable correctness and laid back confidence. Much as I adore Sidney Poitier, I am struggling with that particular version of pink and green. Robert Redford and Montgomery Clift. The book is available in the US via Amazon. The sale begins at noon tomorrow (Thursday), it runs through midnight, Monday, Dec. 5th. For anyone not yet a Gilt member, we have been asked to suggest this link for you to sign up. Our Christmas idea for today is from Smathers & Branson.